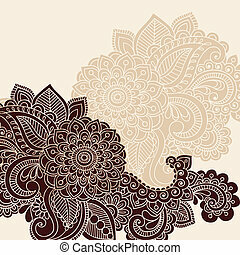 Abstract henna doodle vector design. 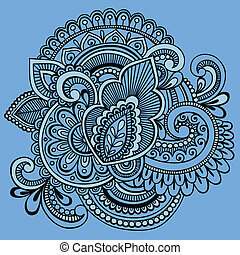 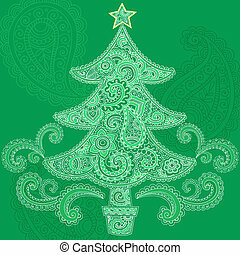 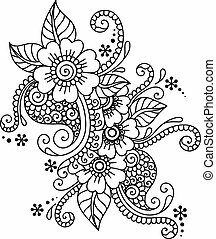 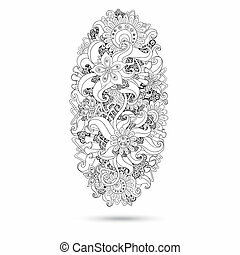 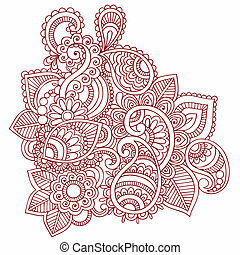 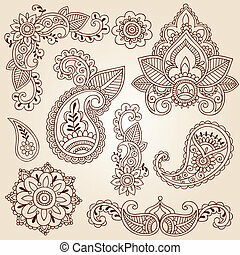 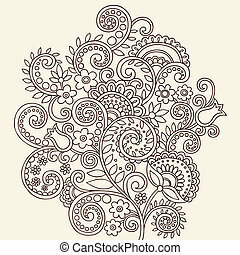 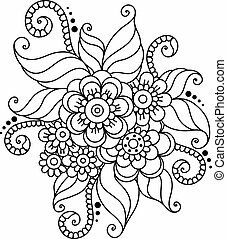 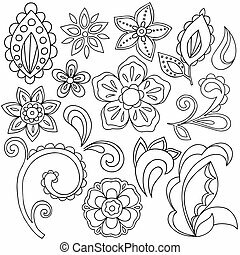 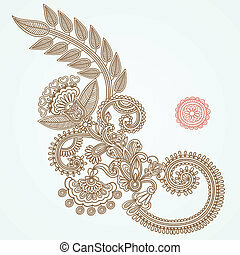 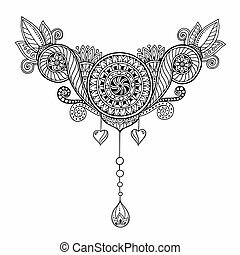 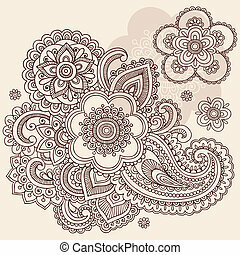 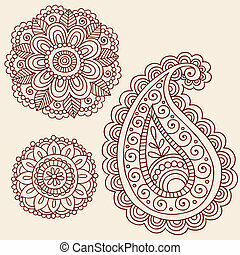 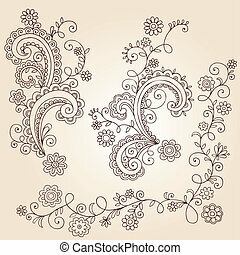 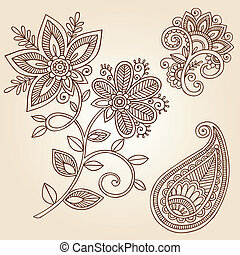 Hand-drawn abstract henna mehndi abstract flowers and paisley shaped doodle vector illustration design elements. 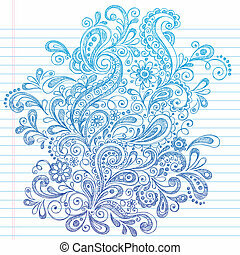 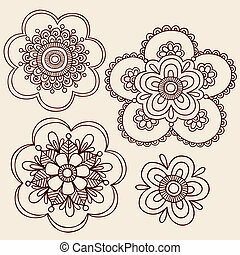 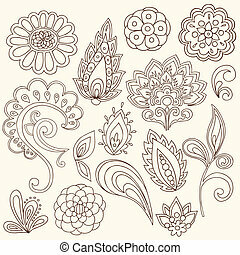 Vector abstract flowers set of brochures in zentangle,doodle style. 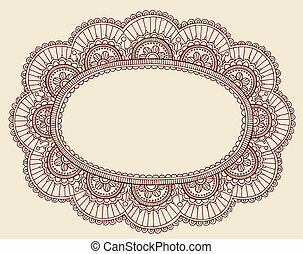 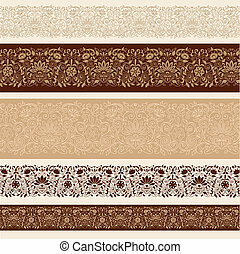 Vector design templates vintage frames and backgrounds. 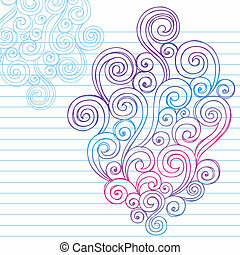 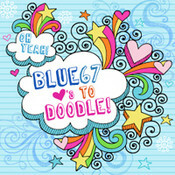 Use for printed materials, signs, elements, web sites, cards,notebook, book. 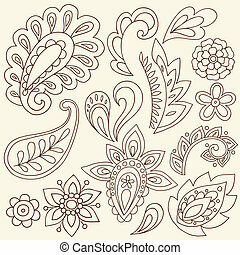 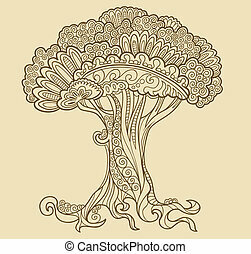 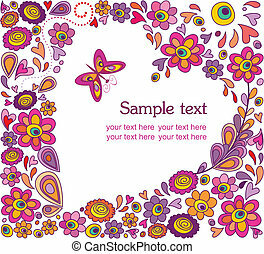 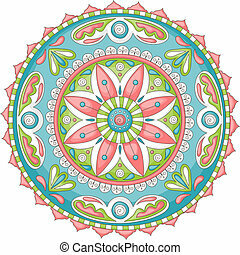 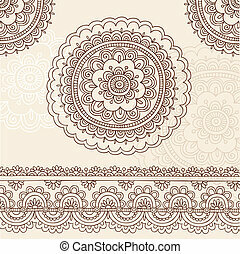 Ethnic floral zentangle, doodle background pattern in vector. 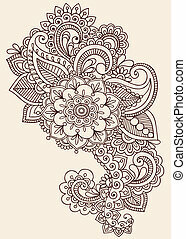 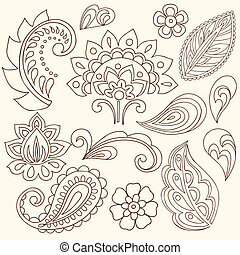 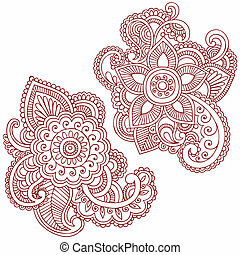 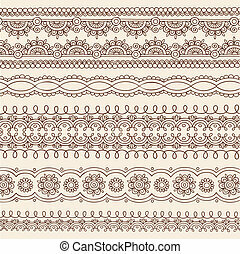 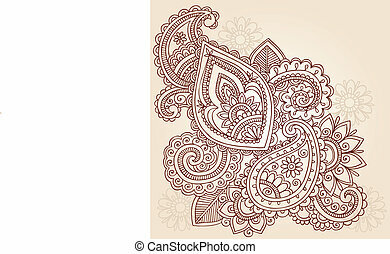 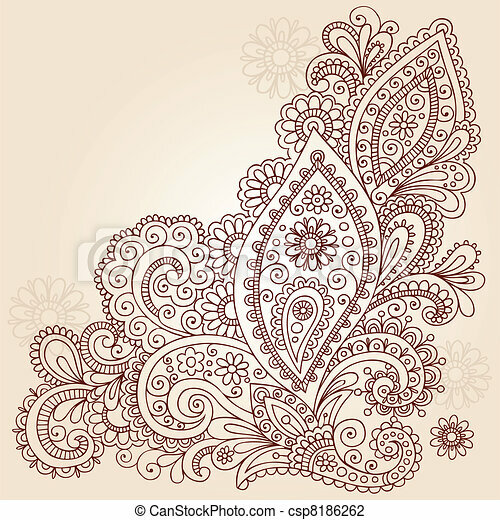 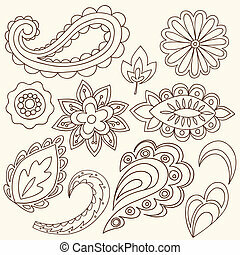 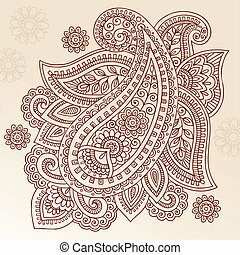 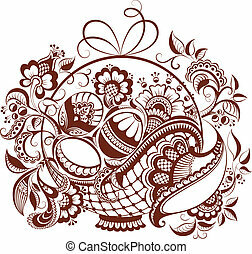 Henna paisley mehndi doodles design tribal design element. 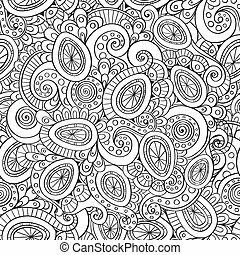 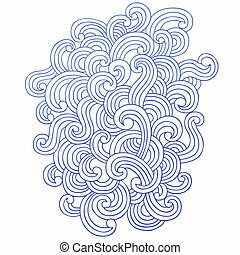 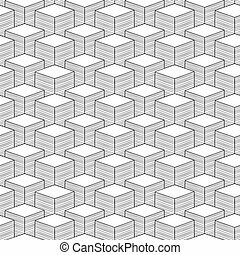 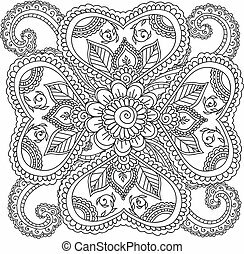 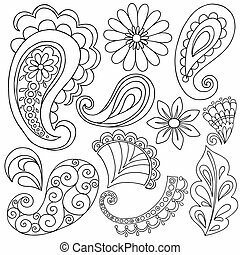 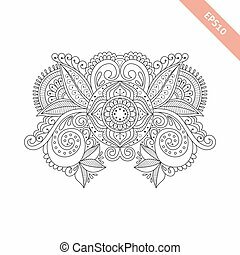 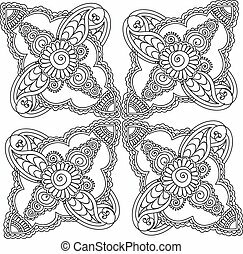 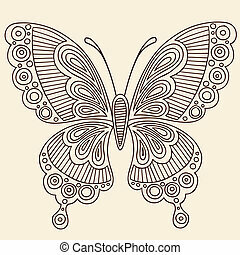 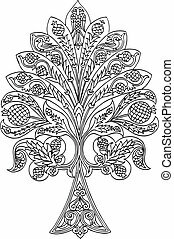 Black and white pattern for coloring book for adults and kids.